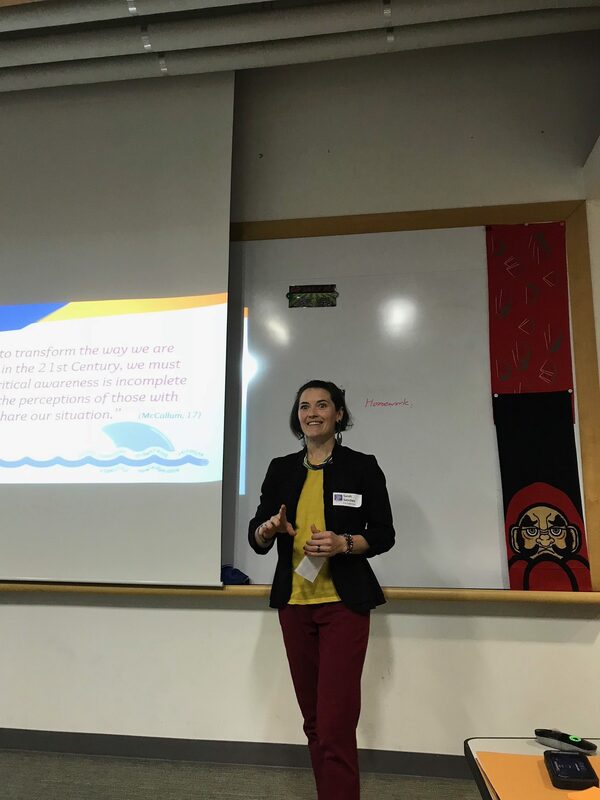 This past weekend, I had an amazing opportunity to both present at and attend the 32nd Korea Council of Overseas Schools (KORCOS) International Education Conference at the stunning Chadwick International School (CIS) campus in Incheon. In her opening remarks, the CIS Head of School, Shelly Luke Wille, challenged us to approach the day with Passion and Purpose in order to inspire our students through meaningful work. Her fiery words energized and encouraged me to kick off the day as one of the first presenters. My presentation focused on using consistent student feedback and continual samples of student work to create a collaborative and meaningful class culture and to design relevant assessments. This practice stems from the understanding that, when asked the right questions in the right way, students can articulately communicate their social-emotional and academic needs. In my experience, giving students the opportunity to voice their opinions and reflect on their learning periodically, results in students being able to do the following: ★ look at their work & work habits critically ★ identify their strengths and stretches ★ establish realistic goals to facilitate personal growth ★ and peer critique with depth & clarity. It also improves the quality of the work students produce and increases student investment in their learning. If you wish to understand the process of Feedback Looping more fully, please visit the Professional Growth and Development 2016 and Beyond page on my website or visit me in room 203 at Busan Foreign School. Upon concluding my presentation, I had the tremendous honor of learning from numerous other educators. Some of my favorites included, ELL Strategies in Readers and Writers Workshop presented by Eric Rosenthal and Elaine Costiera. The array of differentiated strategies that they presented inspired me to implement a modified Readers and Writers Workshop in the Spanish 2-3 levels at BFS. My reasoning being that, specifically in the 2nd and 3rd years of language acquisition, students, although labeled as level 2 or 3 for credit purposes, are actually each on their own journey. Each student comes to the table with strengths and faces unique challenges when reading, writing, comprehending, and conversing. Often the diverse needs of the students at these stages can be challenging to support. Readers and Writers Workshop will give me the ability to do just that. As an almost perfect bridge, I then attended Jon Nordmeyer’s workshop entitled Asset-Based Teaching: Using WIDA to Discover What Your Learners Can Do. He encouraged us to uncover the strengths and explore the rich backgrounds of our students in order to focus on what they CAN DO in our classrooms and through language. To conclude the day, John Zola, showed us the power of Scored Discussions and Grading Student Talk. I highly recommend his resources which can be found on http://johnzola.com/JohnZola.com/Welcome.html. John is the breed of educator that inspires Passionate Purpose for all People. If you have questions or would like to share resources or understand my experience more fully, please email me at ssanchez@bfs.or.kr, visit my website at https://sarahsanchezarmstrong.weebly.com/, or come and speak to me in person. My door is always open so to speak.